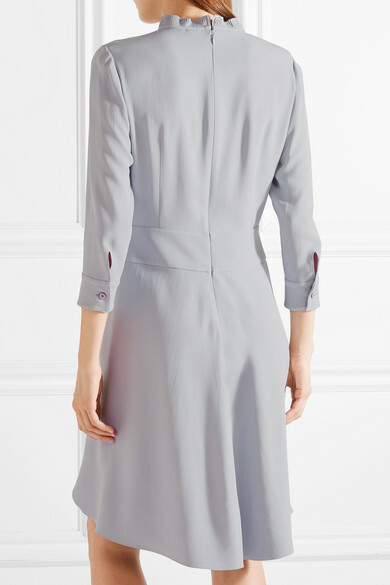 Designed in a vintage-inspired silhouette, Prada's crepe dress is strategically paneled to draw attention to the slimmest part of your frame. 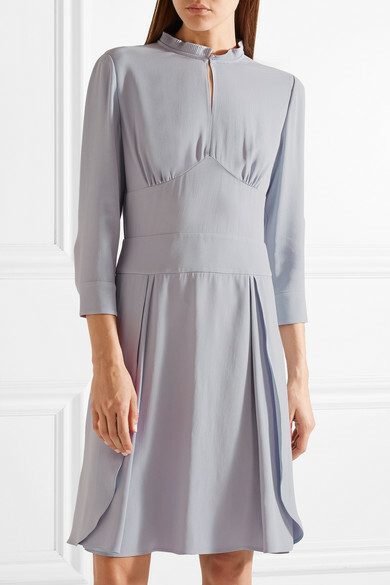 It has a subtle keyhole at the plissé-trimmed neckline and falls to a fluid knee-length skirt. 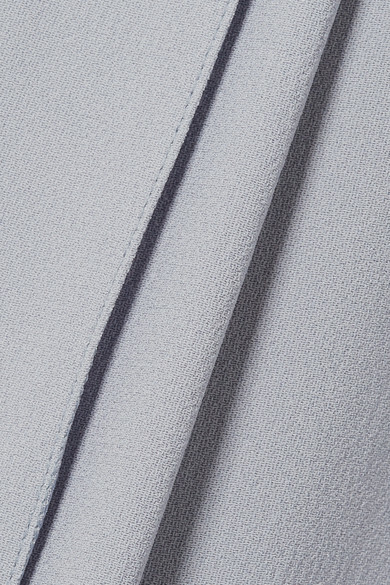 The muted lilac hue works so well against the label's baby-pink Frame clutch. Shown here with: Prada Pumps.